A file with the DOCX file extension is a Microsoft Word Open XML Format Document file. DOCX files are used for everything from resumes and cover letters to reports, flyers, documentation, invitations, newsletters, and more. These files usually contain text but can also include objects, styles, rich formatting, and images. 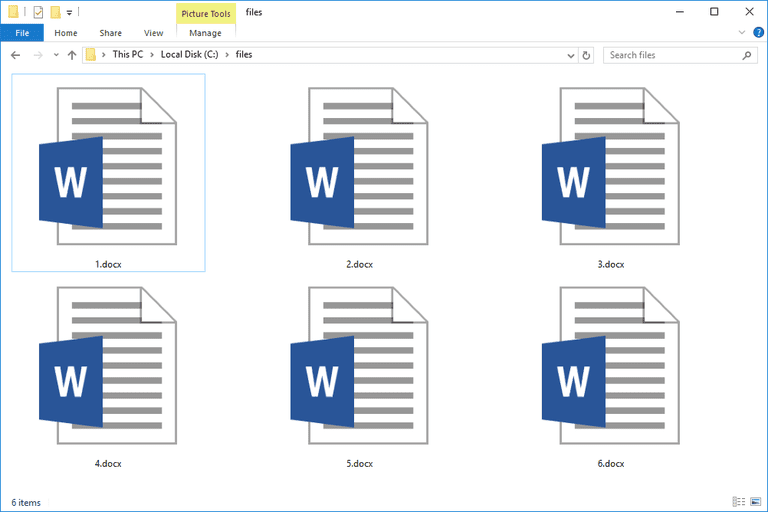 Microsoft started using DOCX files in Microsoft Word beginning in Word 2007, while earlier versions of Word use the DOC file extension. DOCX files are smaller and easier to support than DOC files because the format is XML-based and all the content is stored as separate files, and ultimately compacted in a single, ZIP-compressed file. Microsoft Word uses the DOCM format, too, but there are other similar file extensions that don't have anything to do with these Microsoft formats, like DDOC and ADOC. Editing a DOCX File With Microsoft Word Online. Microsoft Word (version 2007 and above) is the primary software program used to open and edit DOCX files. If you have an earlier version of Microsoft Word, you can download the free Microsoft Office Compatibility Pack to open, edit, and save DOCX files in your older version of MS Word. Actually, you don't even need to open a DOCX file with Word because Microsoft has this free Word Viewer program that lets you open Word documents like DOCX files without needing to have MS Office installed. What's more, you don't even need any Microsoft Office related program on your computer to open this type of file because there are several completely free word processor programs that open and edit DOCX files. Kingsoft Writer, OpenOffice Writer, and ONLYOFFICE are some that we recommending on a regular basis. The free Google Docs tool is an online word processor that can also open/edit DOCX files and, being a web-based tool, doesn't require any software downloads. This also means, of course, that any DOCX files you want to use with Google Docs must be uploaded to the tool before they can be viewed and edited. To upload your DOCX file (or any file, for that matter) to Google Docs, you have to first upload it to your Google Drive account. Microsoft Word Online is another way to view and edit DOCX files online. That service is from Microsoft, so it looks a bit like the desktop version of Microsoft Word, but it's completely free. Google also has this free Chrome extension that lets you view and edit DOCX files right inside your browser. It supports dragging local DOCX files into the Chrome browser as well as opening DOCX files directly from the internet without having to download them first. The now defunct Microsoft Works opens DOCX files, too. While not free, Corel WordPerfect Office is another option, which you can pick up at Amazon. Microsoft Word Online's DOCX Conversion Options. Most people are interested in converting a DOCX file to PDF or DOC, but the programs and services below support a number of additional file formats as well. The quickest, easiest, and most effective way to convert a DOCX file is to just open it in one of the word processor programs mentioned above and then save it to your computer as the file format you'd like it to be in. Most applications do this through the File > Save As menu, or something similar. If that doesn't seem to work for you, you could use a dedicated converter from our list of free file converter software programs and online services, like Zamzar. This is a great example of an online DOCX converter that can save the file to not only document formats like DOC, PDF, ODT, and TXT but also eBook formats and image formats like MOBI, LIT, JPG, and PNG. To convert your DOCX file to the Google Docs format to edit the file there, first upload the file to your Google Drive account like we mentioned above, through the New > File upload menu. Then, right-click the file in your account and select the Open with > Google Docs menu to make a copy of the DOCX file and save it to a new format that Google Docs can read and work with. Calibre is a very popular free program that converts DOCX to eBook formats, too, like EPUB, MOBI, AZW3, PDB, PDF, and several others. We recommend reading their instructions on converting Word documents for some help making an eBook from your DOCX file.